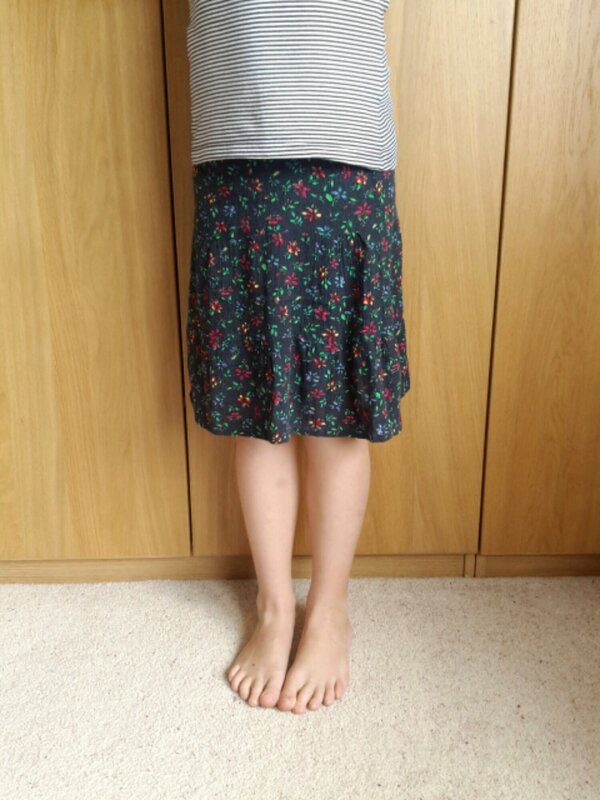 I made this skirt with help from my Grandma. First my Grandma cut out three long pieces of fabric. Then I used the sewing machine to sew them together. Here it is! 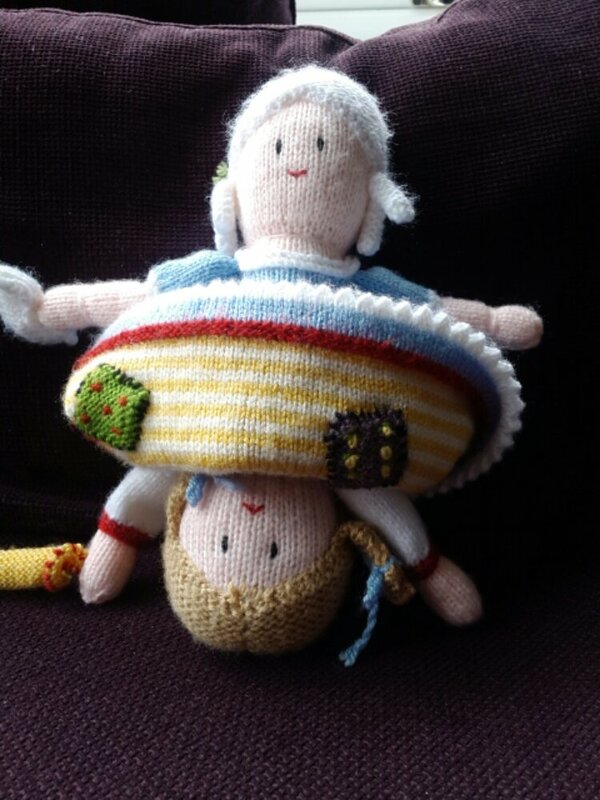 This Cinderella Topsy-turvy doll was knitted for Bethan for Christmas 2011. She looks a little saggy now but when she was first made her face and body were plumper. 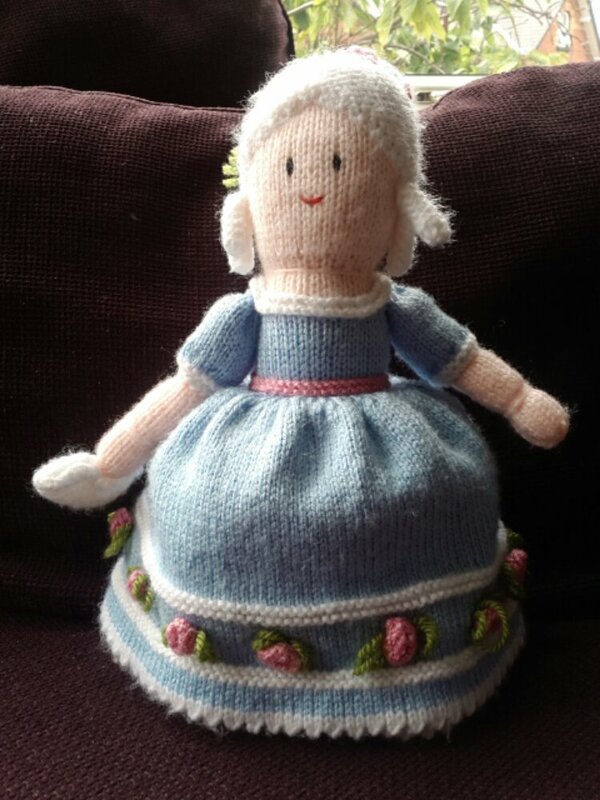 It was surprisingly easy to make, it was simple knitting and purling. It did take a very long time to finish though, especially with all the making up at the end. 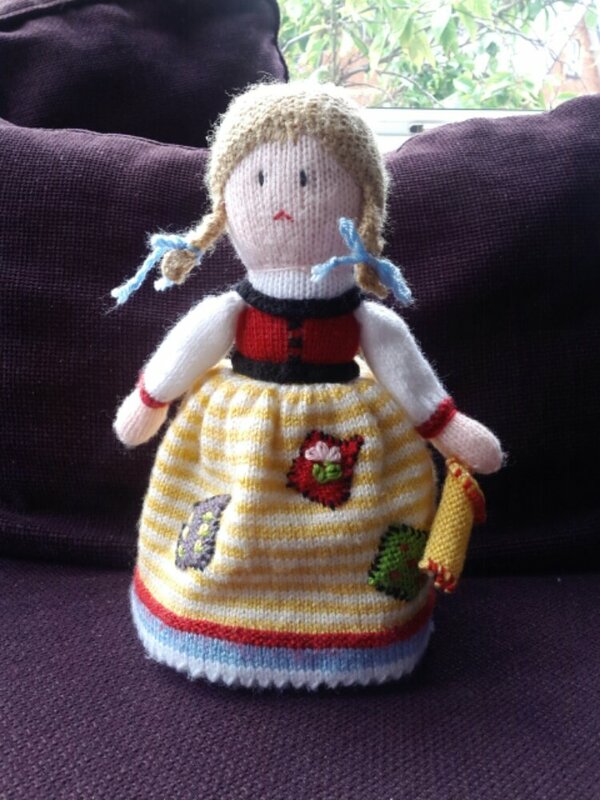 The pattern for this doll came from Jean Greenhowe’s Christmas Special. 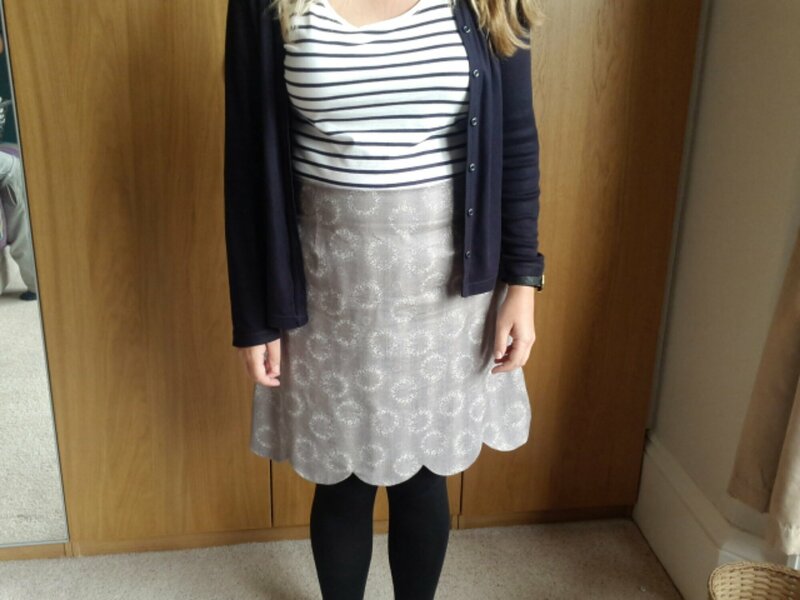 Although this is not the first skirt I’ve ever made, it is the first one that I’ve made without help. Paul bought me the Colette Sewing Handbook so I had to make something from it! It was my first go at darts, zips and a curved hem, but I’m rather pleased at the final result. When I’ve lost a little more weight I’ll make the Pastille dress from the same book. 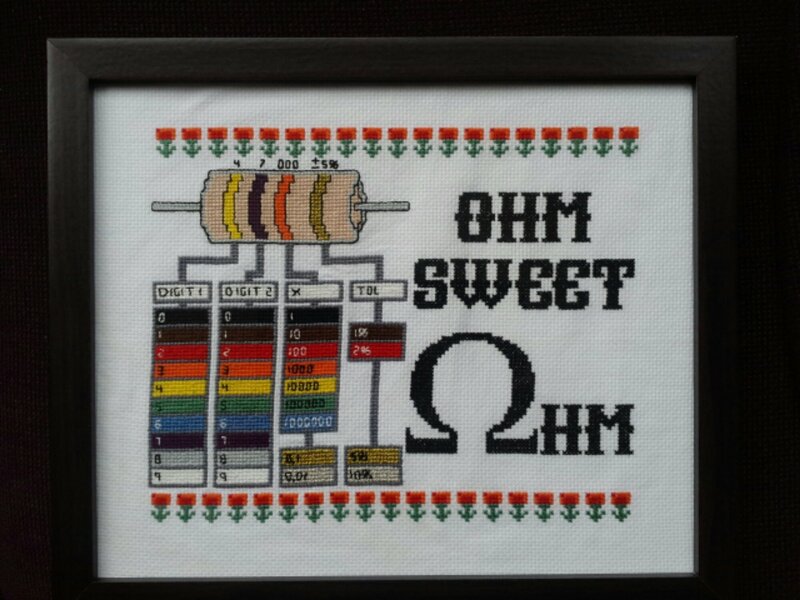 A cross stitch of a resistor colour chart. The design is by Adafruit (here). It has been months of work, on and off, but looks good. If only we had a hackerspace to hang it in. 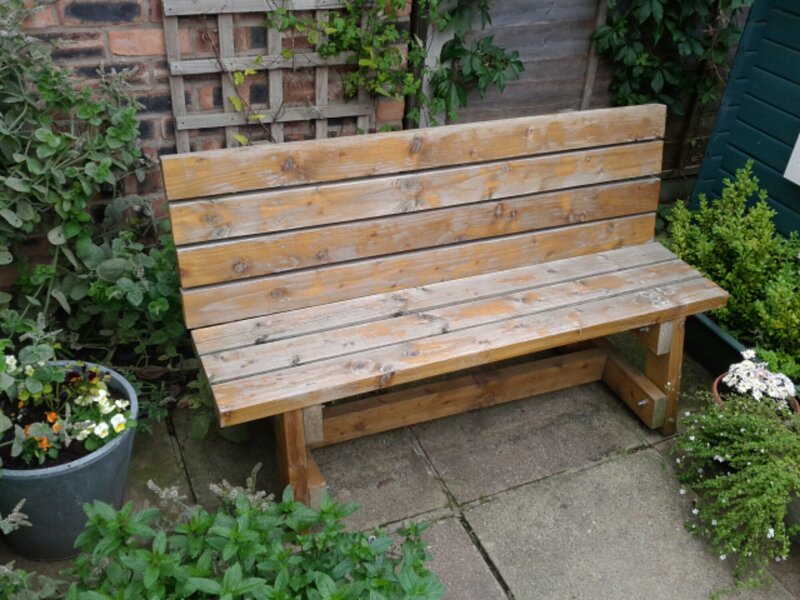 A garden bench that was made from plans on buildeasy. Really pleased because it gets a lot of use. 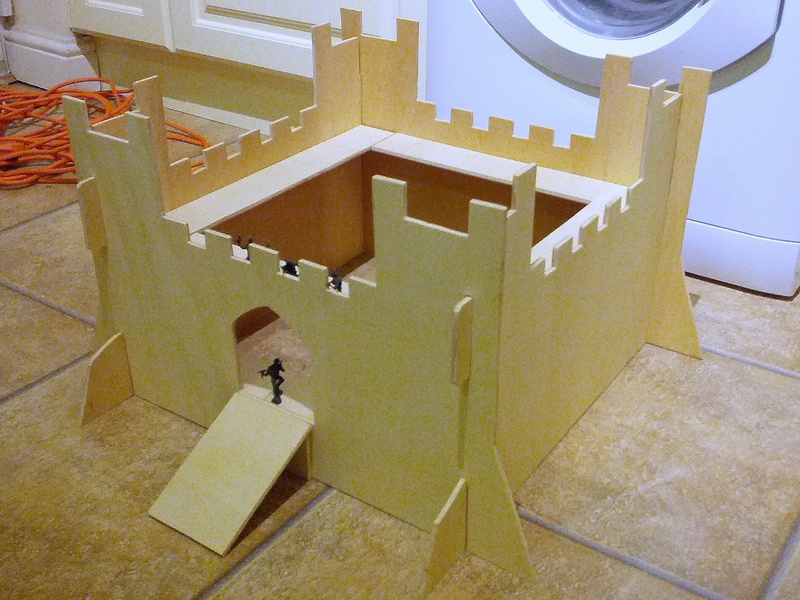 It was pretty easy to make with just a mitre saw and an electric drill – the plans are here. A wooden fort that I made for Bryn’s birthday last year. It is made from plywood but it is quite neat because it slots together so it can be dismantled. Our family likes to make stuff. And we’re quite proud of what we make. So we wanted somewhere to show it off. Hopefully we will start by adding some of the stuff we have made in the past and then add new things as we go.